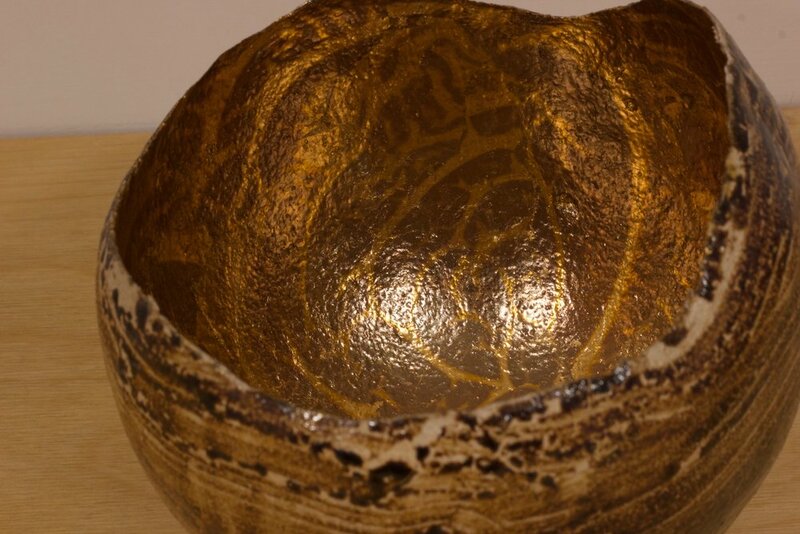 Siobhan's relationship with clay began with an inspiring teacher, in the Lune Valley when she was a child, it has taken many decades of exploration to settle upon it as her primary creative medium. Siobhan creates microcosms; ceramic sculptures for domestic and corporate settings , which explore perspective, that where we choose to stand and how we choose to look, alters our emotional engagement with both internal and external landscapes. She integrates precious metals and unrefined foraged materials into her work. All her pieces created to look and feel different depending on your perspective. "As you move around them you may see different skylines, landscapes or moods. The internal and external surfaces often have different qualities, as is the case with us all. They are microcosms of our world, we all decide where to stand and what to see when looking at ourselves and the rest of the world." 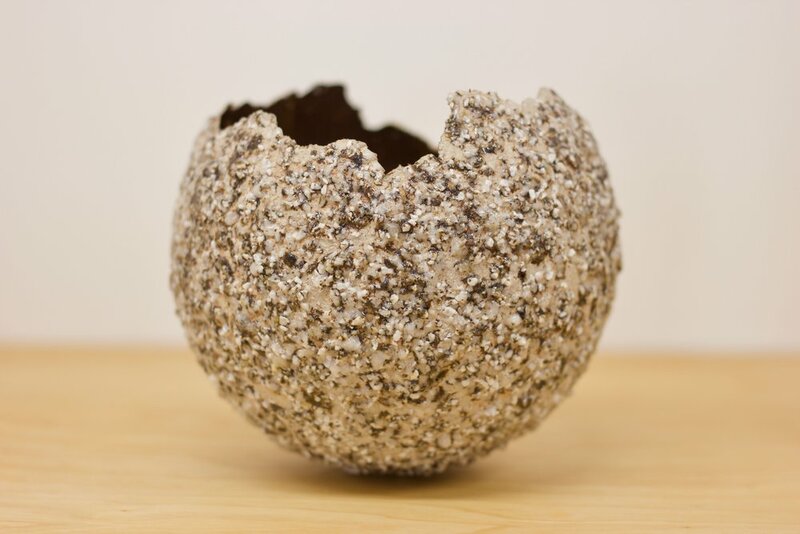 Siobhan greatly enjoys integrating raw, natural materials into her work, often embedding stone dust, gravel or ores into the soft clay, adding to the texture and contrast. 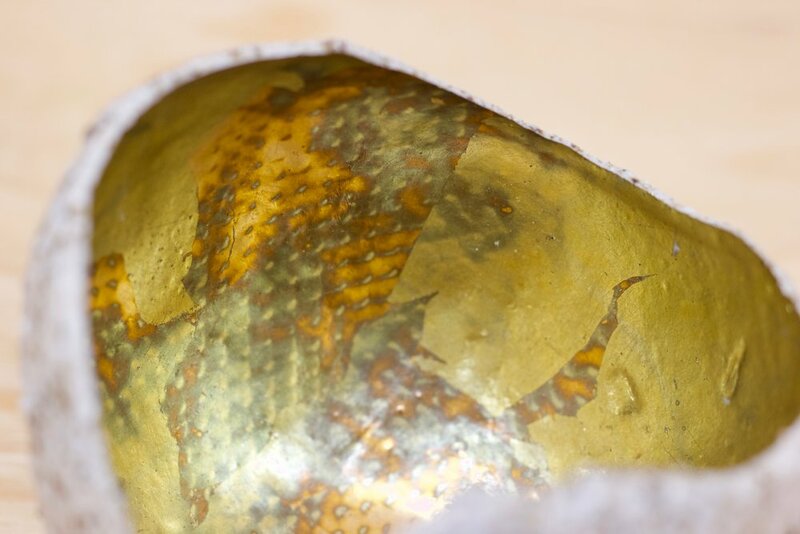 Her use of metal leaf has allowed her to introduce light into her work. The joy of bringing together earth, air, fire and water really appeals to her a country girl and former fire-fighter.